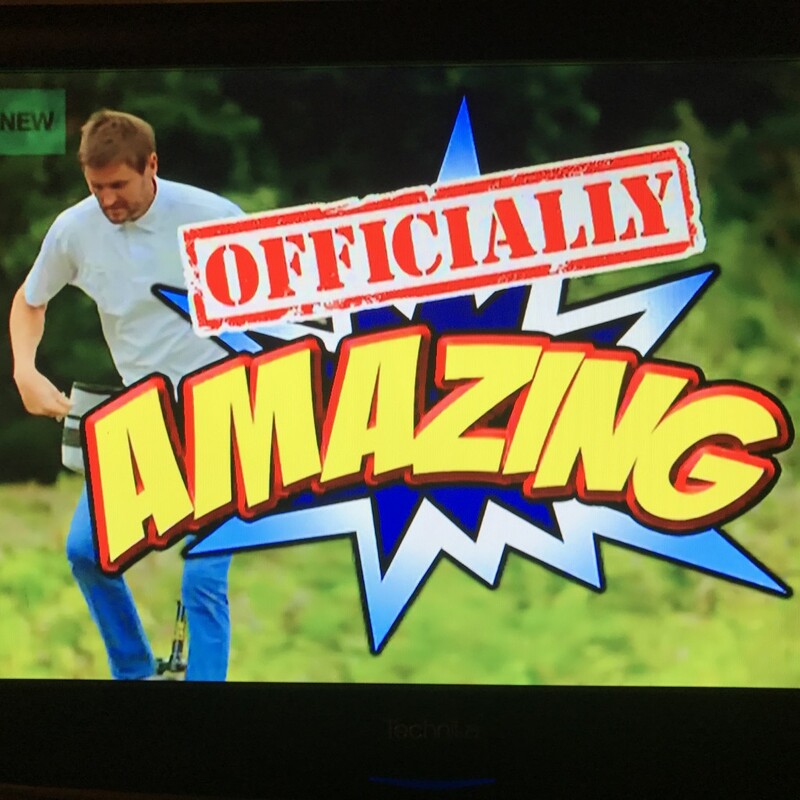 During 2017 KC appeared on two TV shows, the first being featured on The Kids Channel CBBC, where Kevin was attempting to set a NEW World Record on the Programme Officially Amazing. 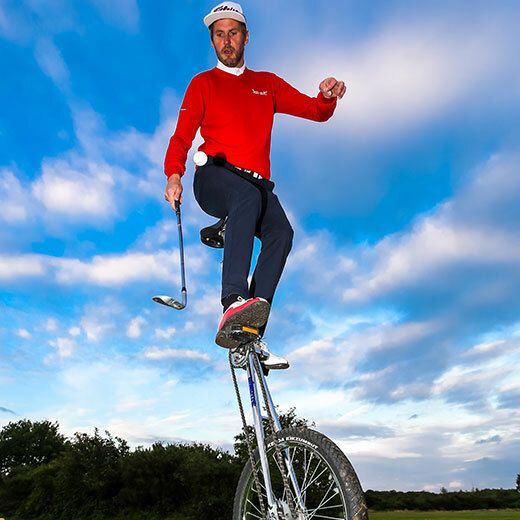 Kevin had the difficult challenge set by Guinness Book of Records to hit 10 moving ball shots with his driver in just 30 seconds… If the task wasn’t hard enough KC was challenged to achieve the record whilst riding his unicycle at the same time. Unfortunately Kevin could only manage 6 in the time allowed. However on a brighter note KC finished 2017 with a fun evening with European Tour Favourite Andrew BEEF Johnston on The Xmas Special Total Tekkers.. 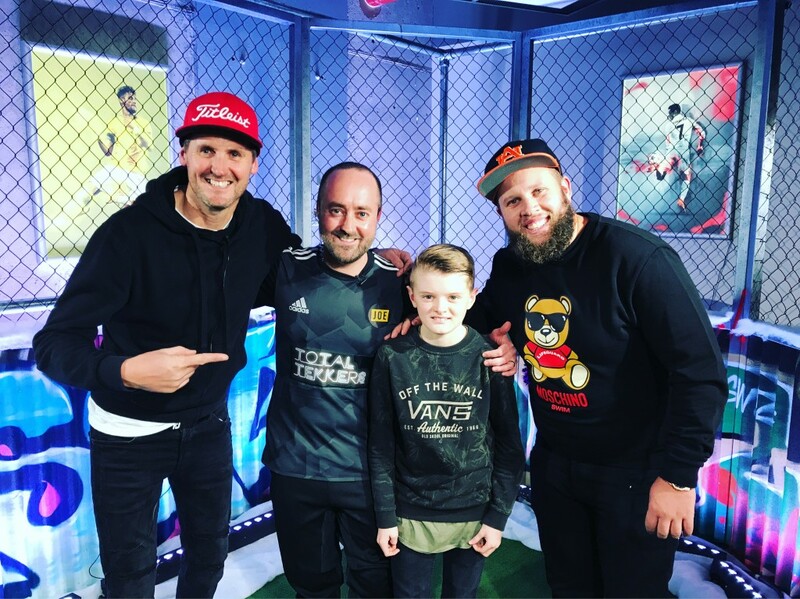 Going out to over 55,000 on Facebook live, KC and BEEF were interviewed by former Soccer AM’s Rockett before the duo tried to help win an Xbox for local side Dulwich Hamlett FC. The show was made even more special for KC , as his 10 year old son watched with great interest from front row seats.